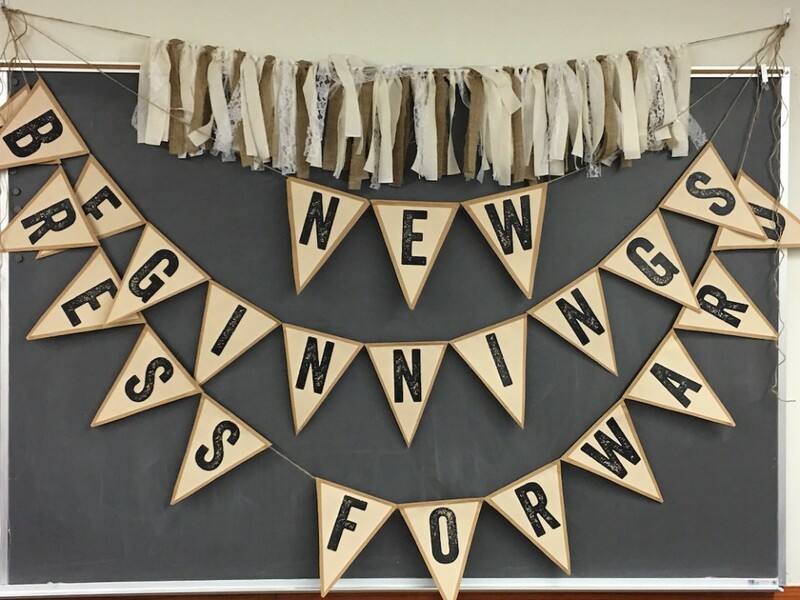 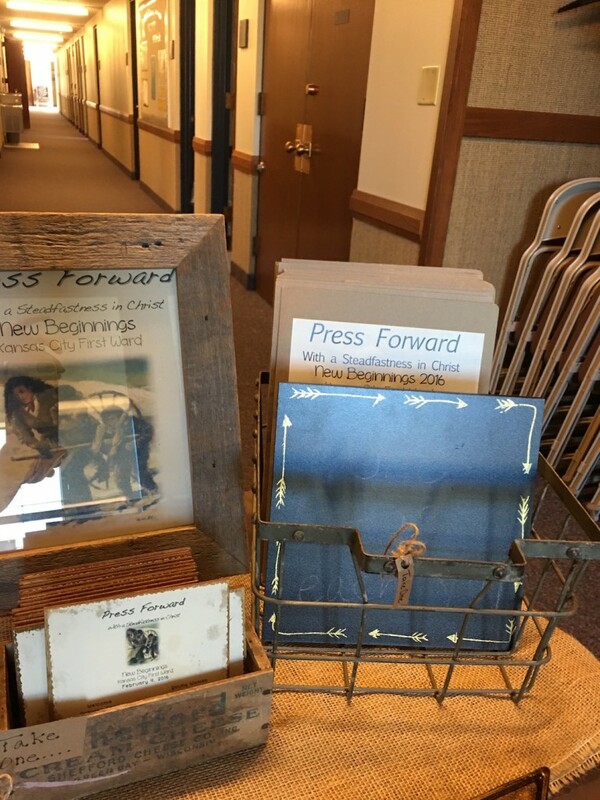 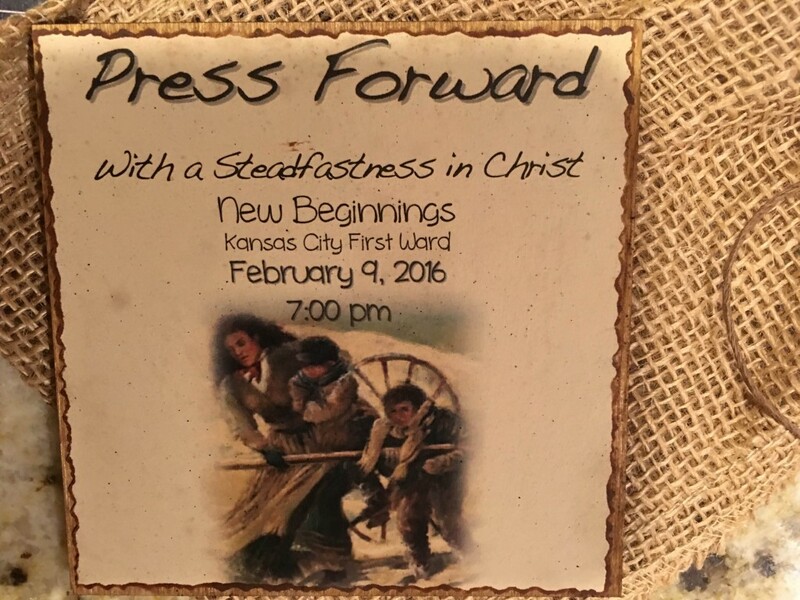 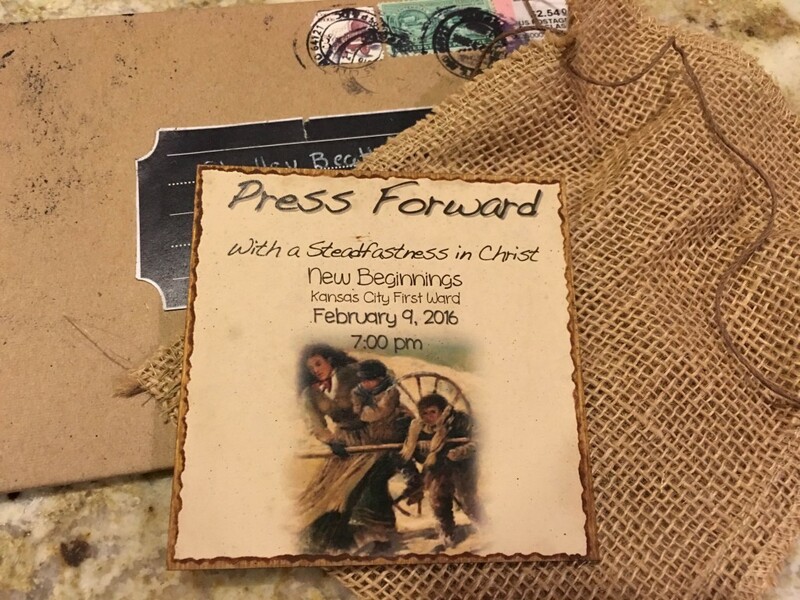 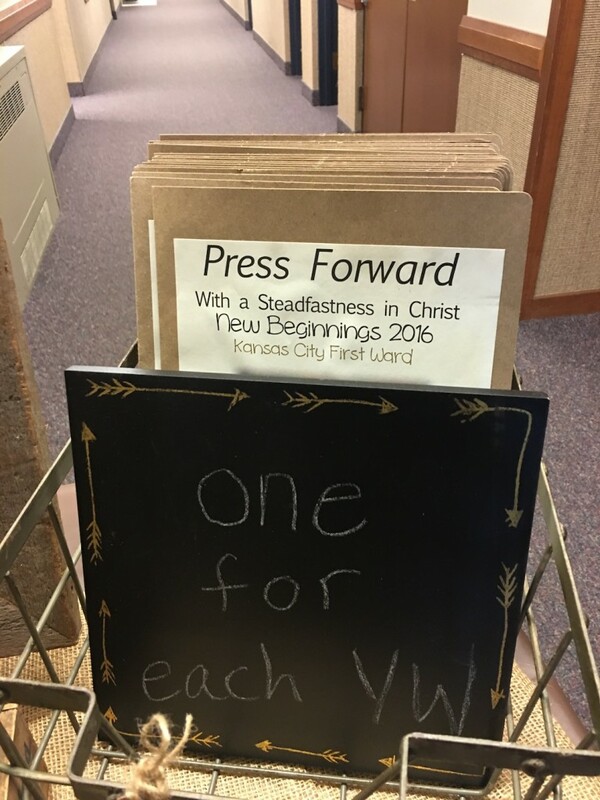 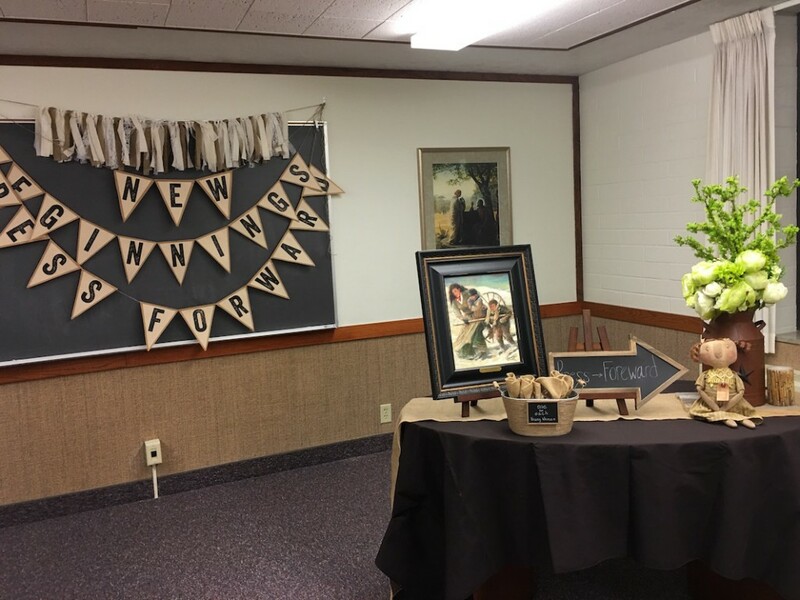 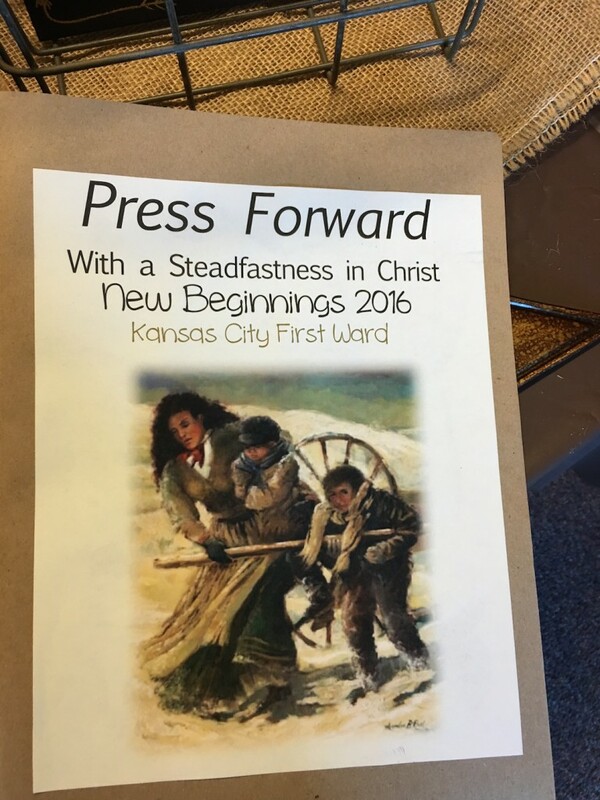 We used this years Mutual theme for our New Beginnings “Press Forward With a Steadfastness in Christ”. 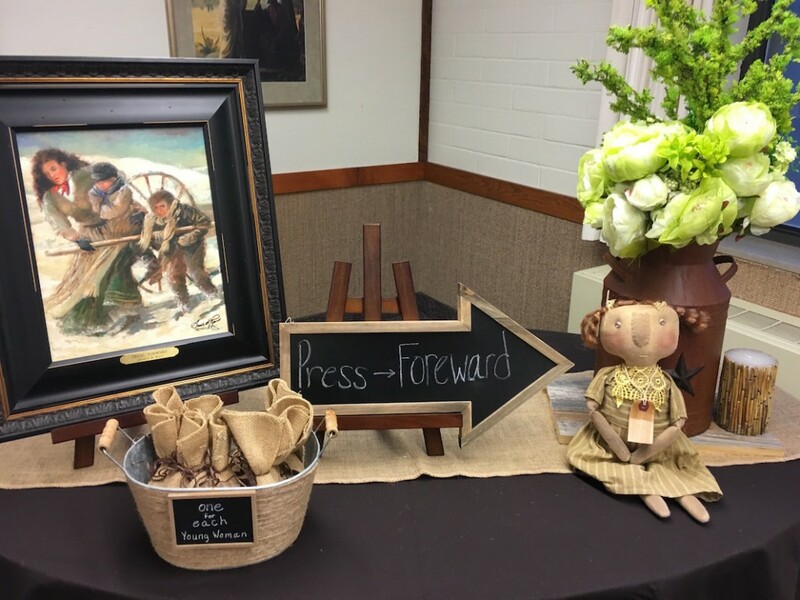 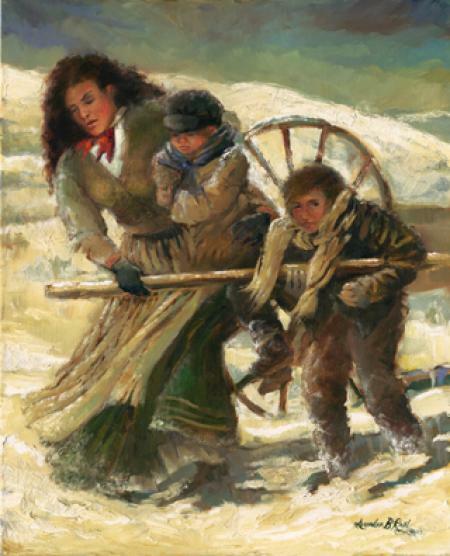 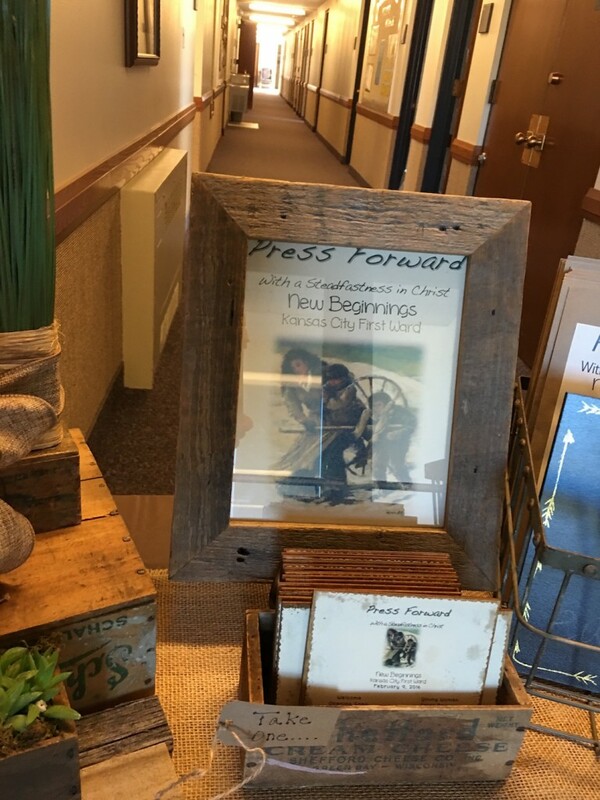 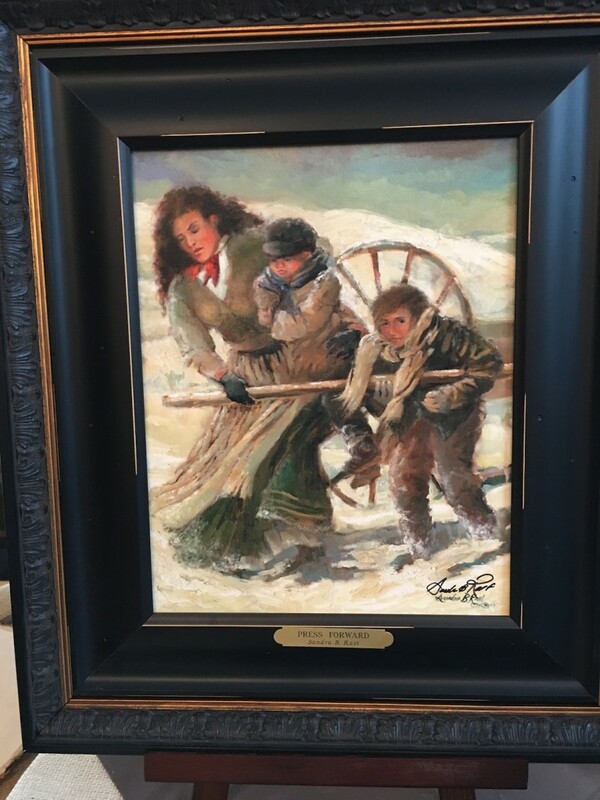 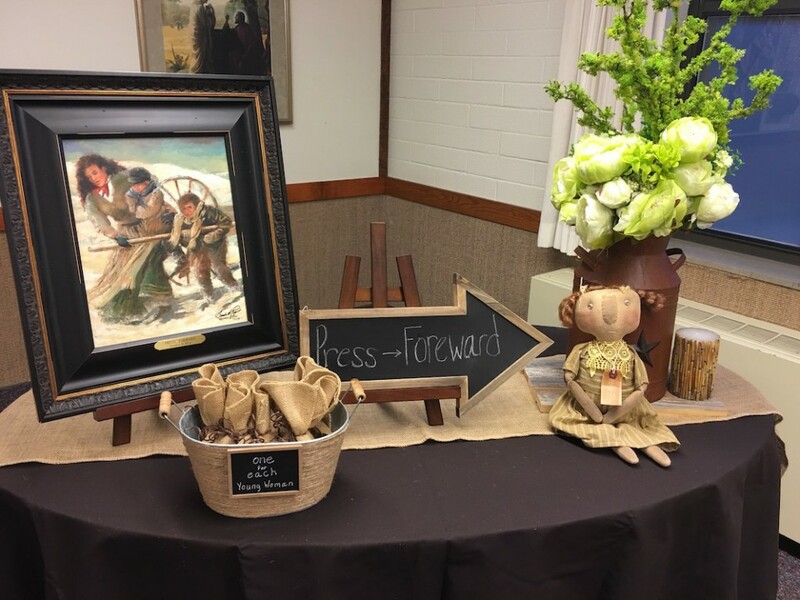 When one try to think of a good example of pressing forward with a steadfastness in Christ the handcart pioneers comes to mind and the artwork of Sandra Rast’s piece called “Press Forward” is perfect, (a special thank you to Sandra Rast for letting us use her image of the handcart pioneers). 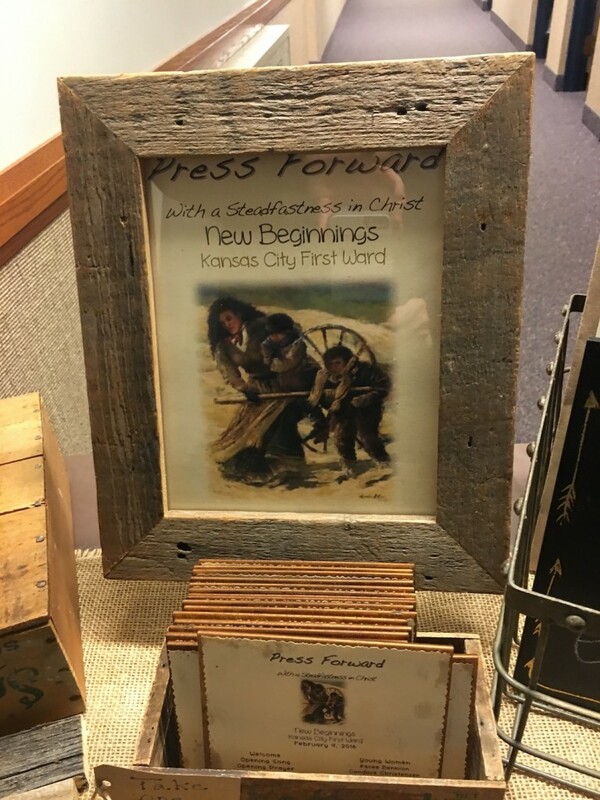 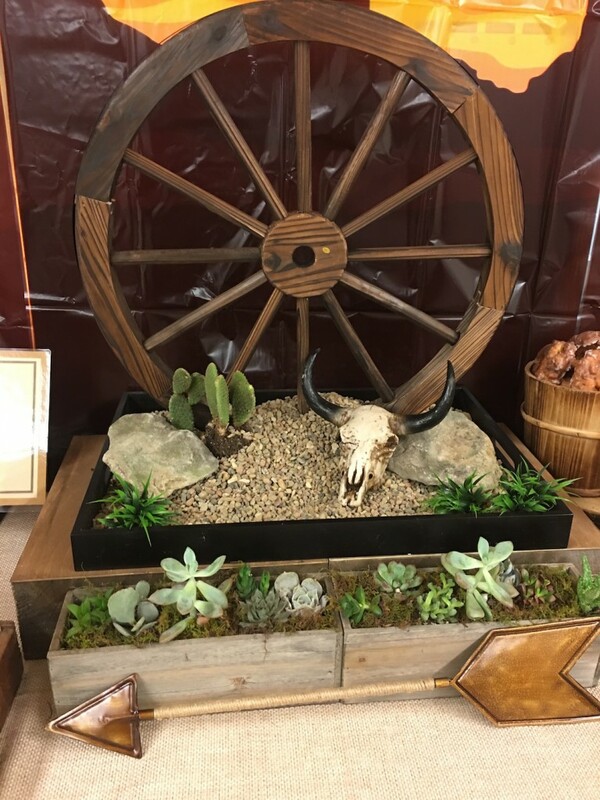 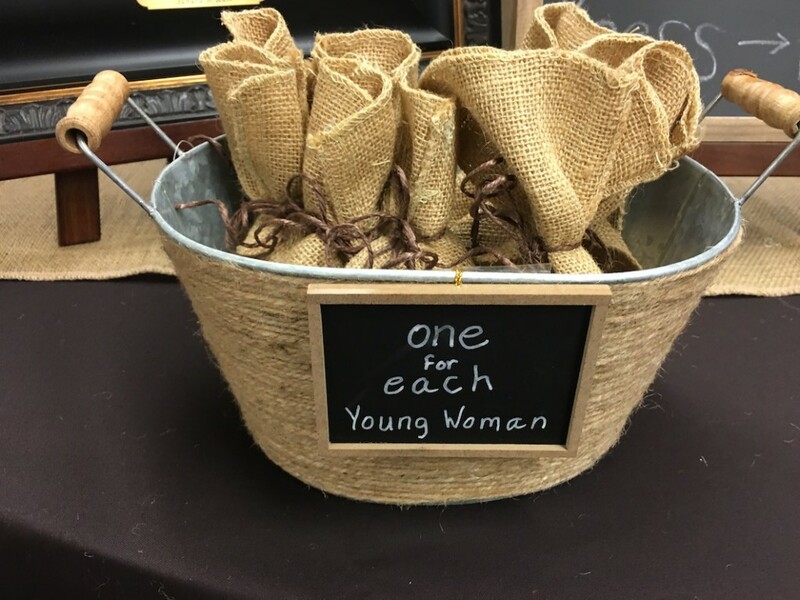 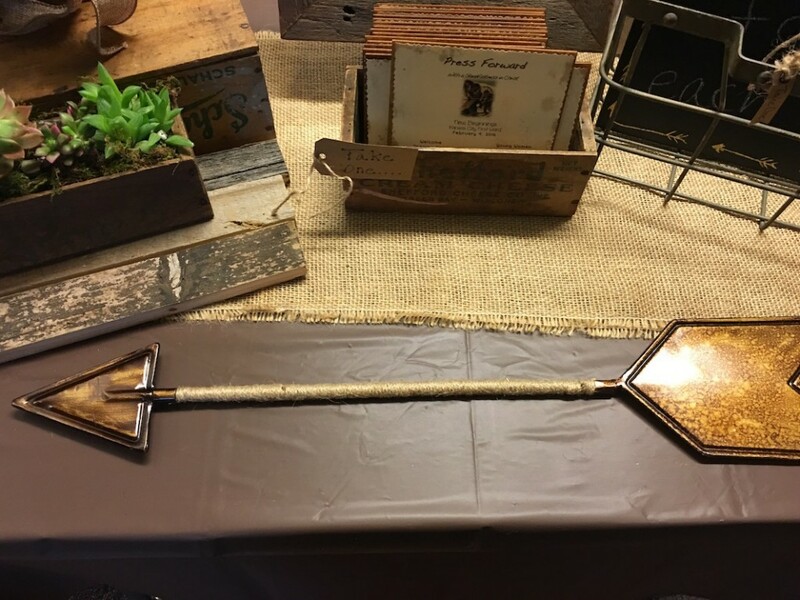 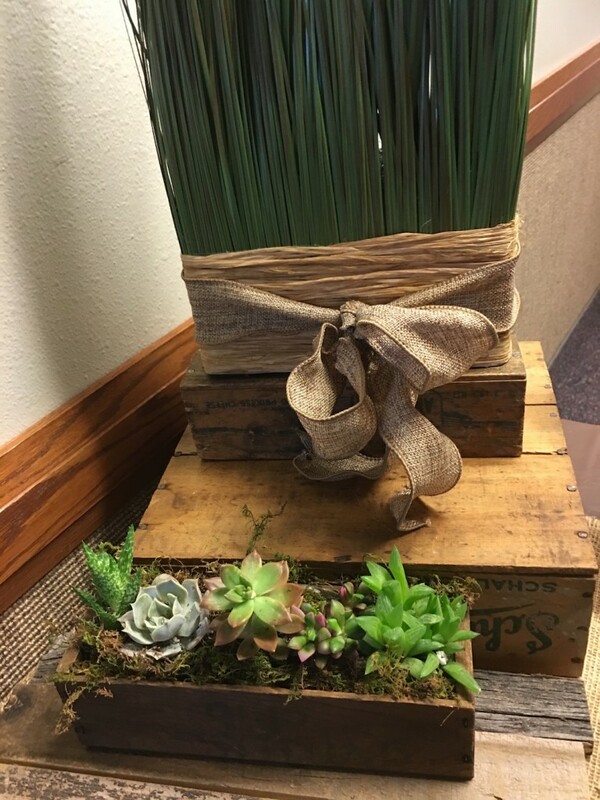 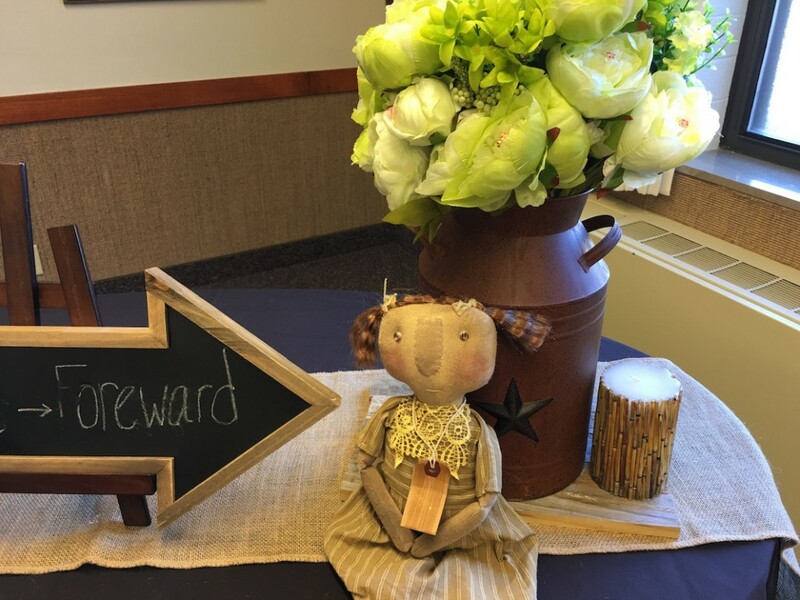 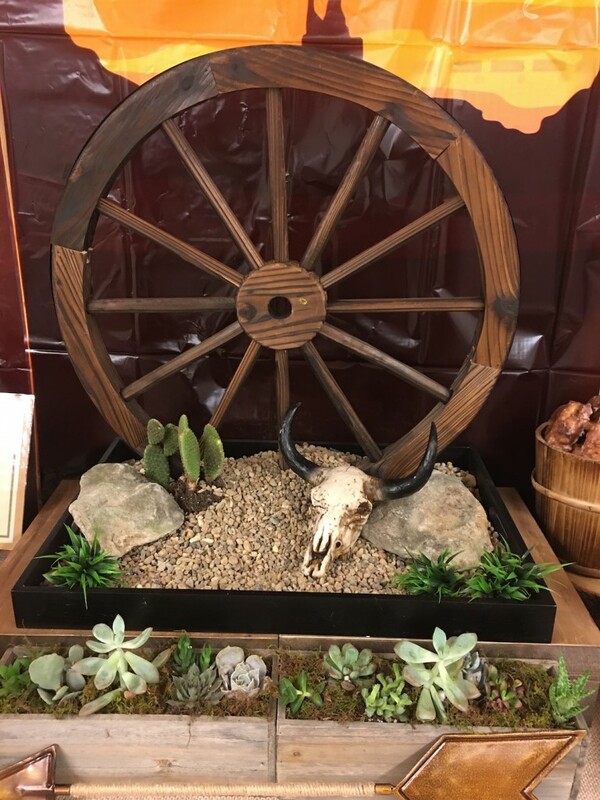 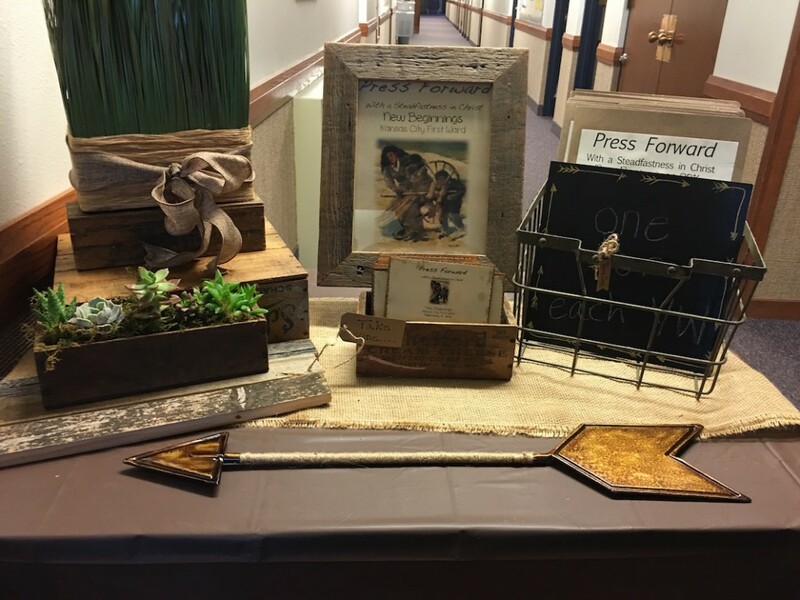 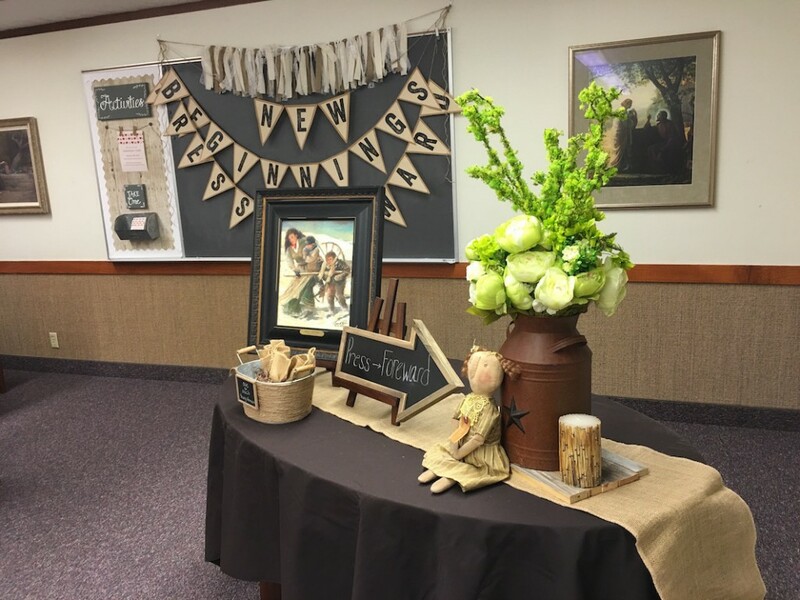 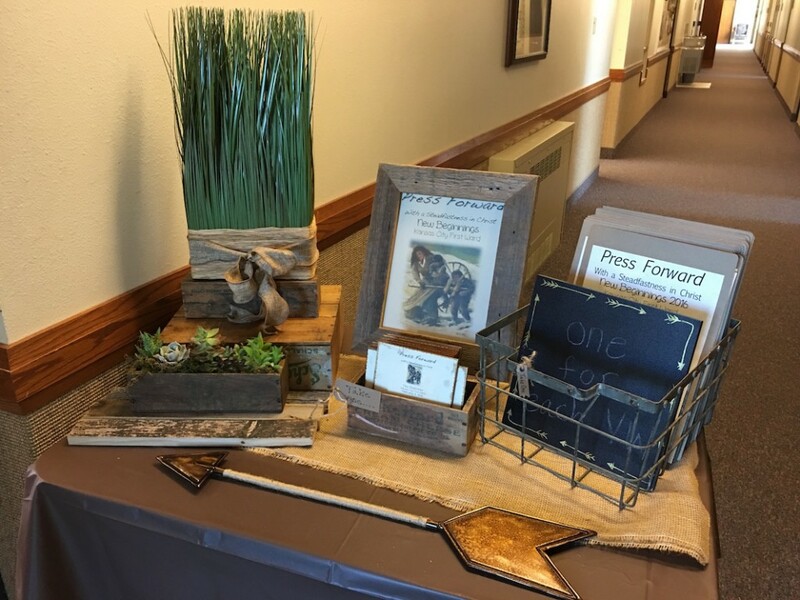 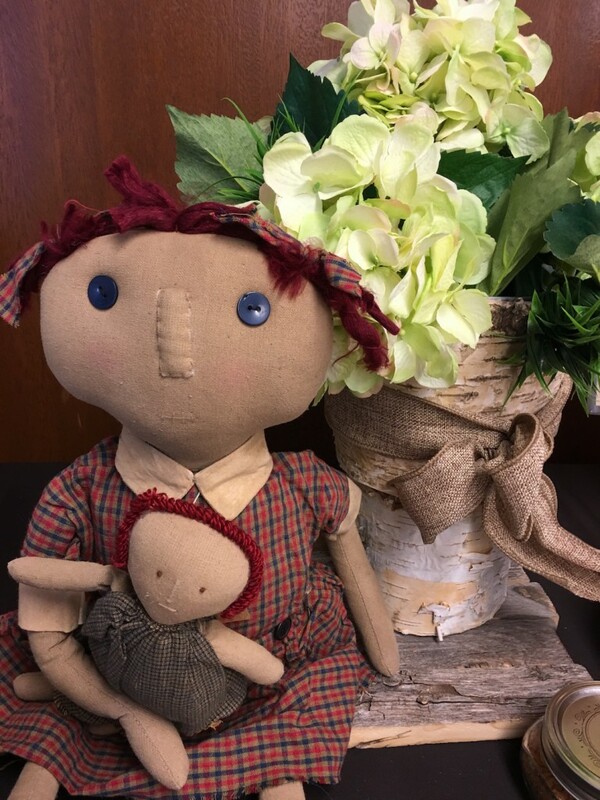 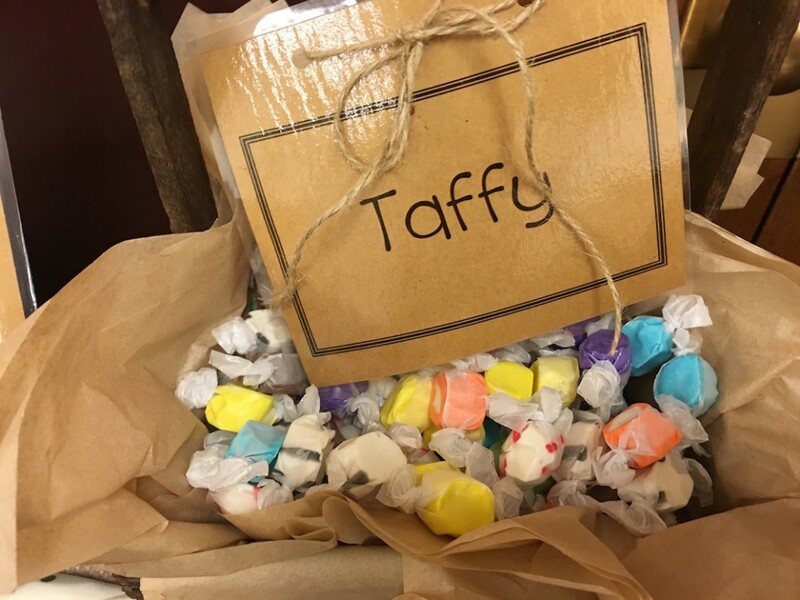 Each Young Women told of one of the handcart pioneers from the Willie/Martin Handcart Company and then shared how they found inspiration to Press Forward with Steadfastness in Christ. 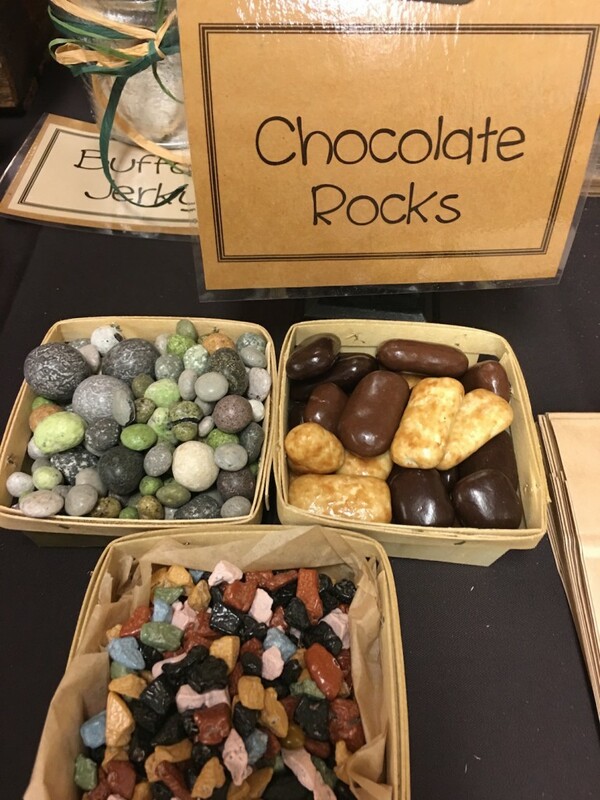 These were on the foyer table to be picked up as people came into the room. 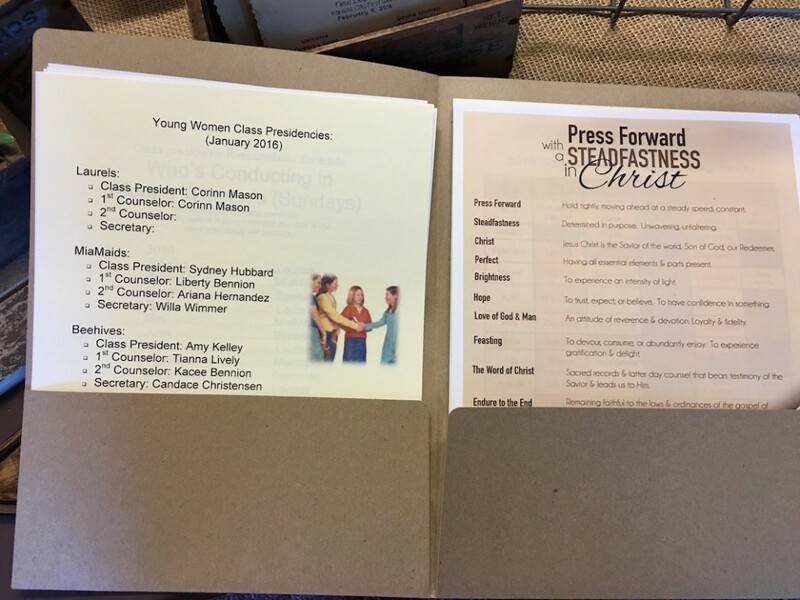 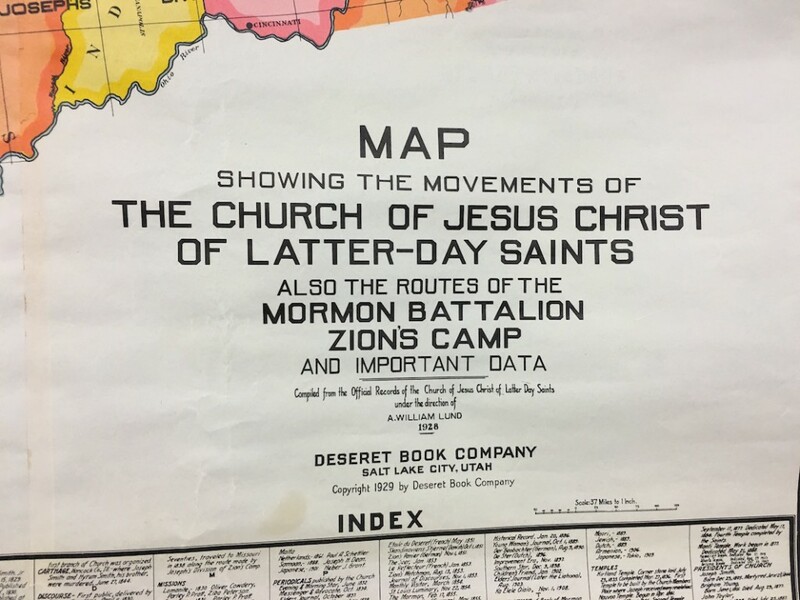 They also could pick up a packet with YW information for the upcoming year. 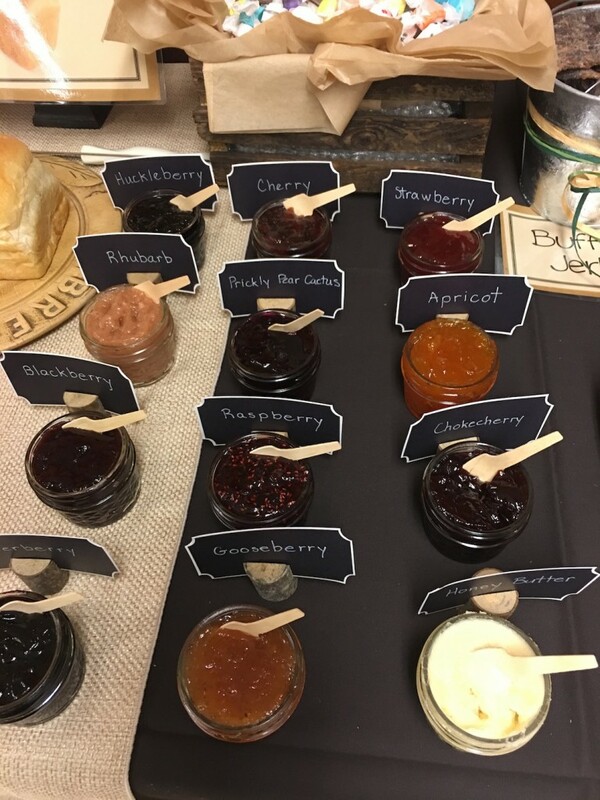 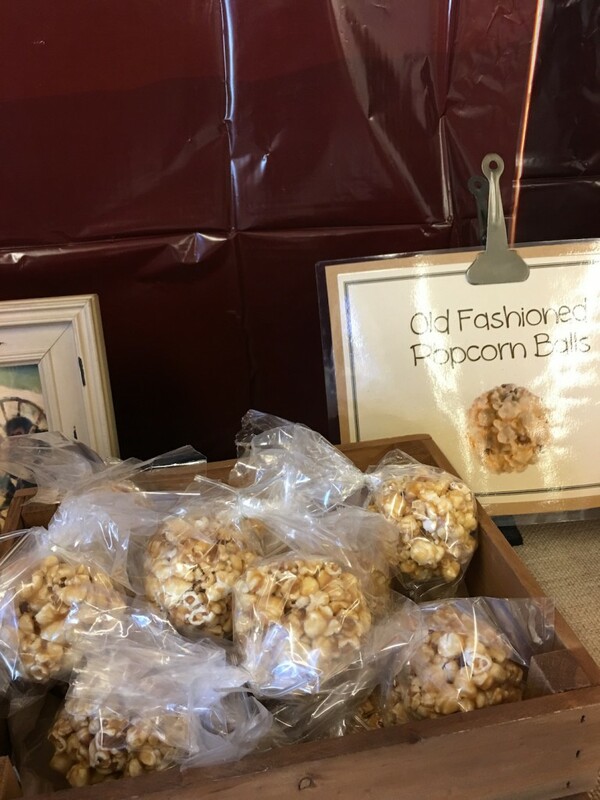 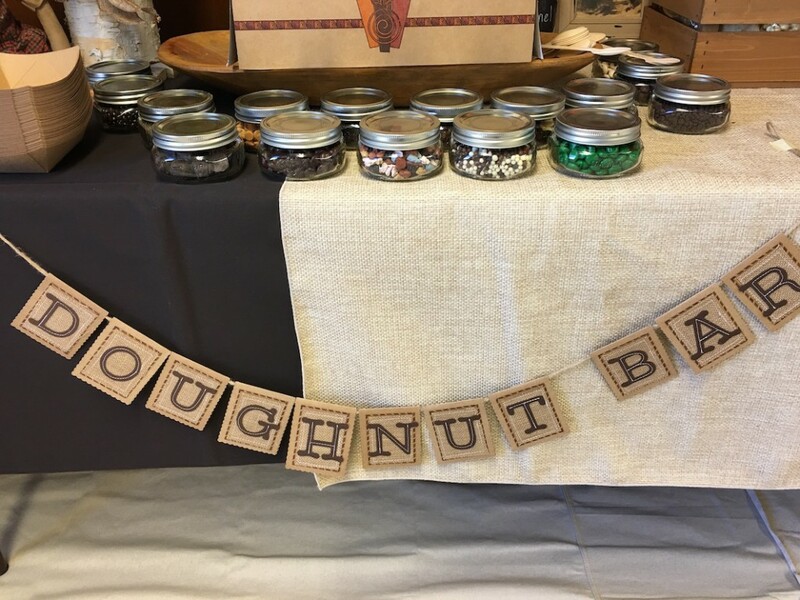 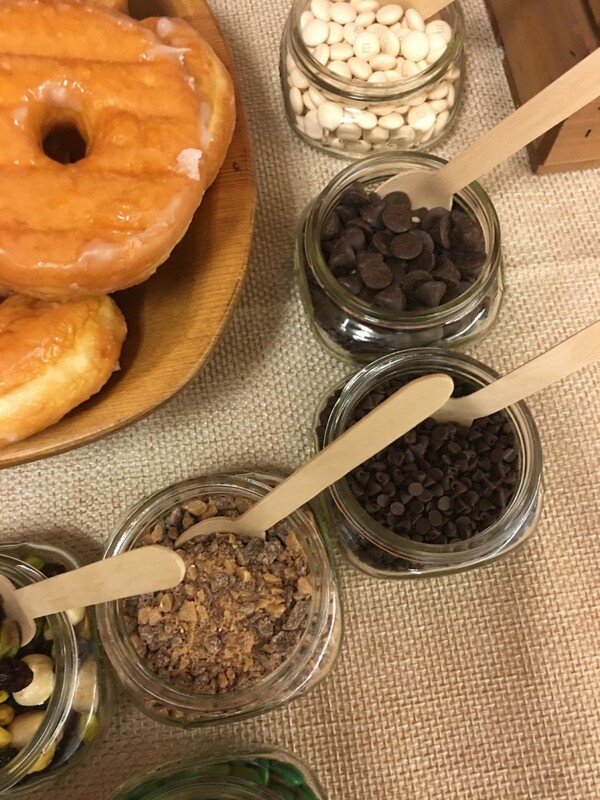 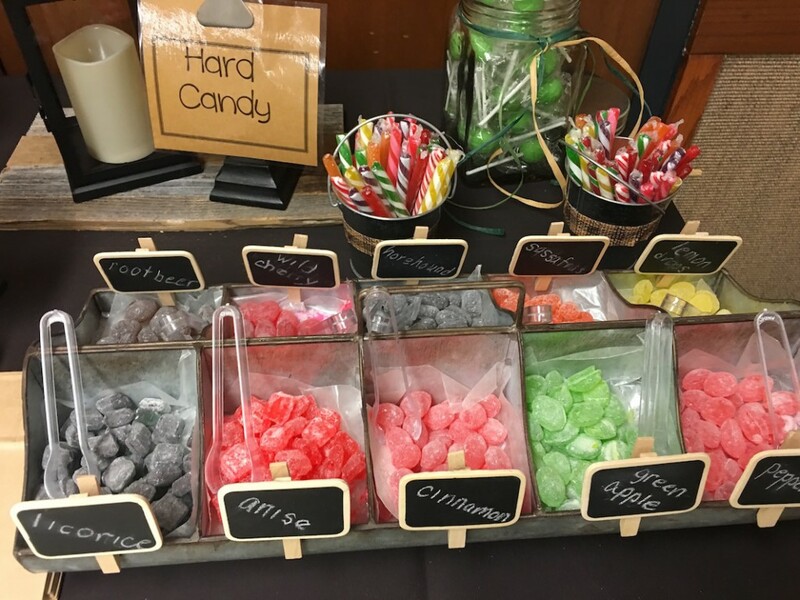 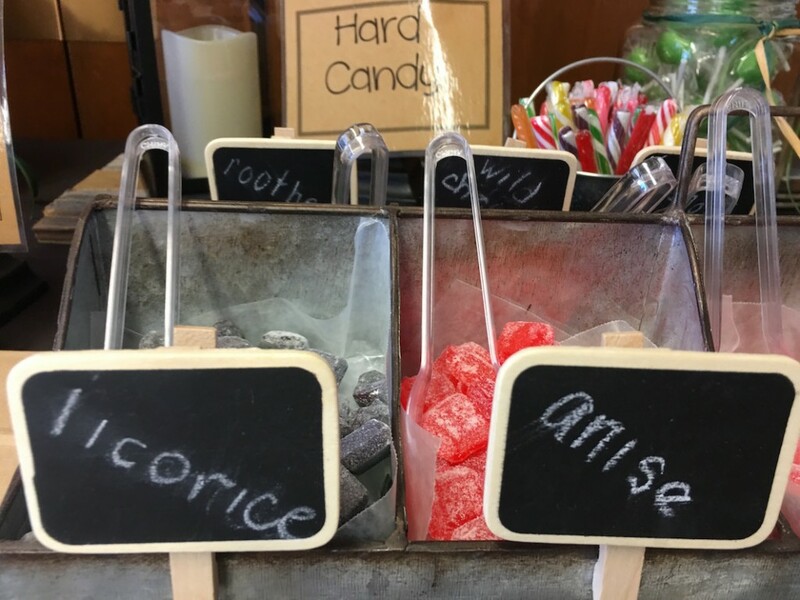 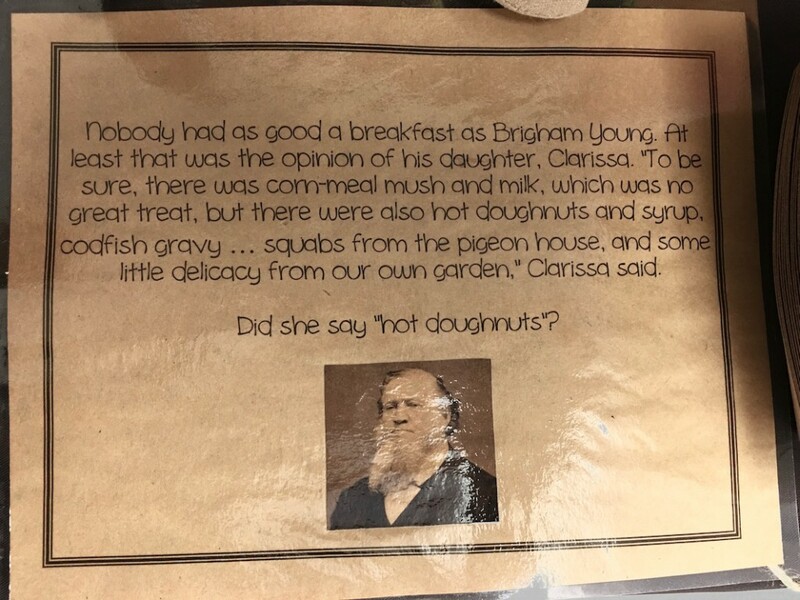 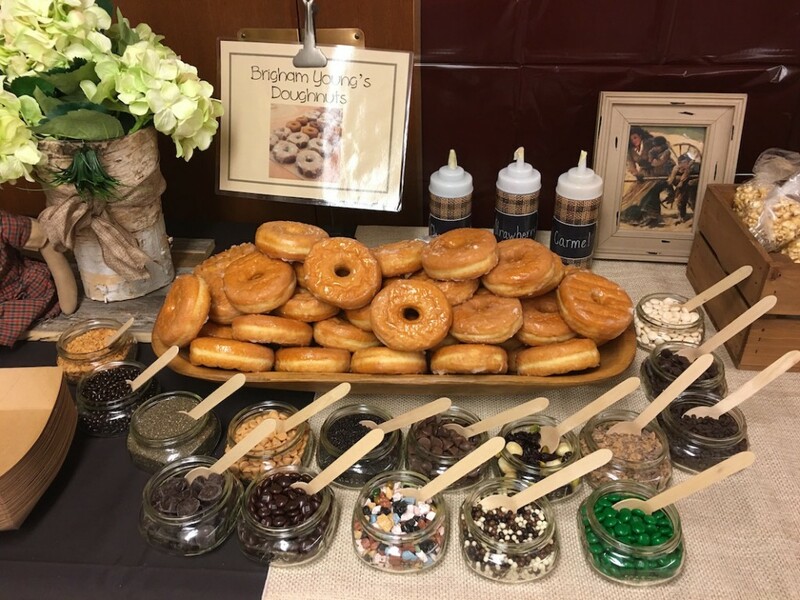 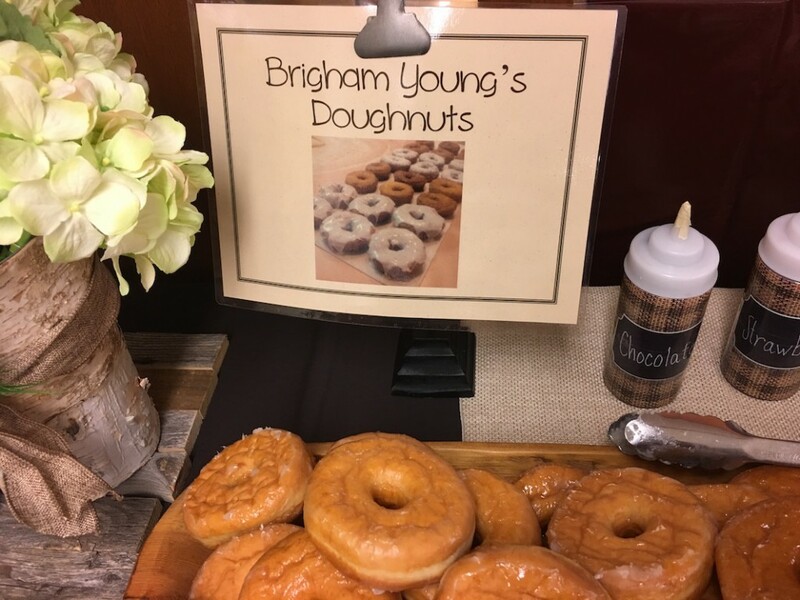 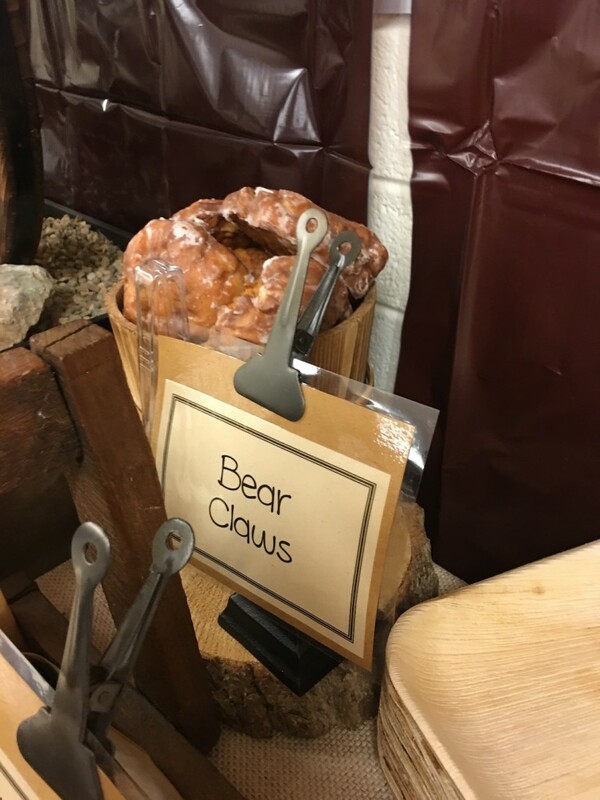 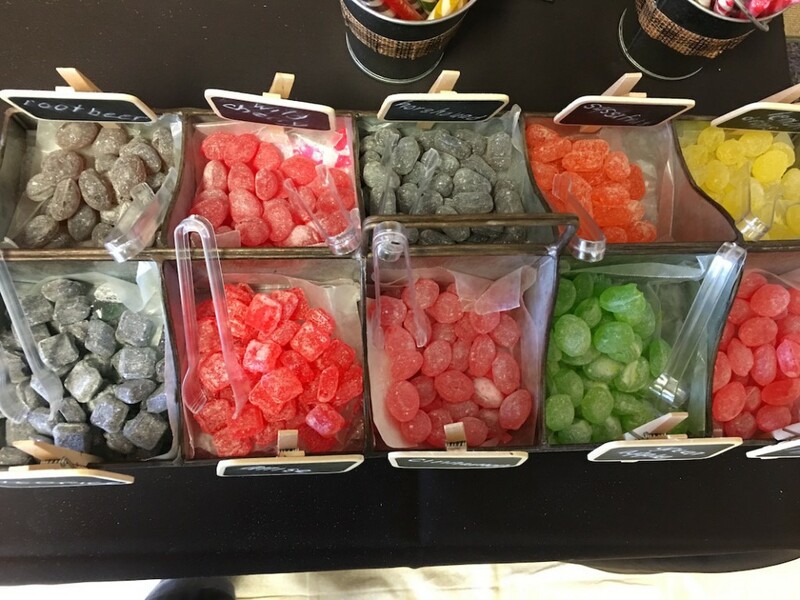 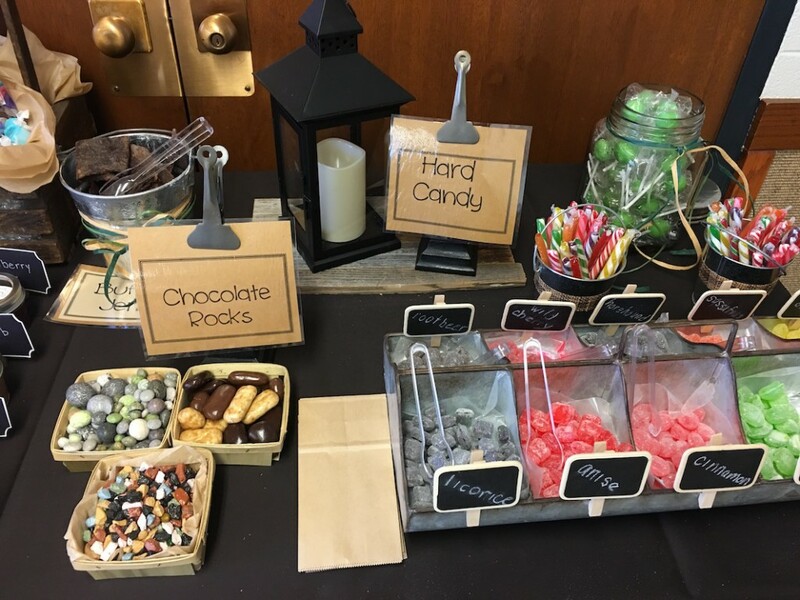 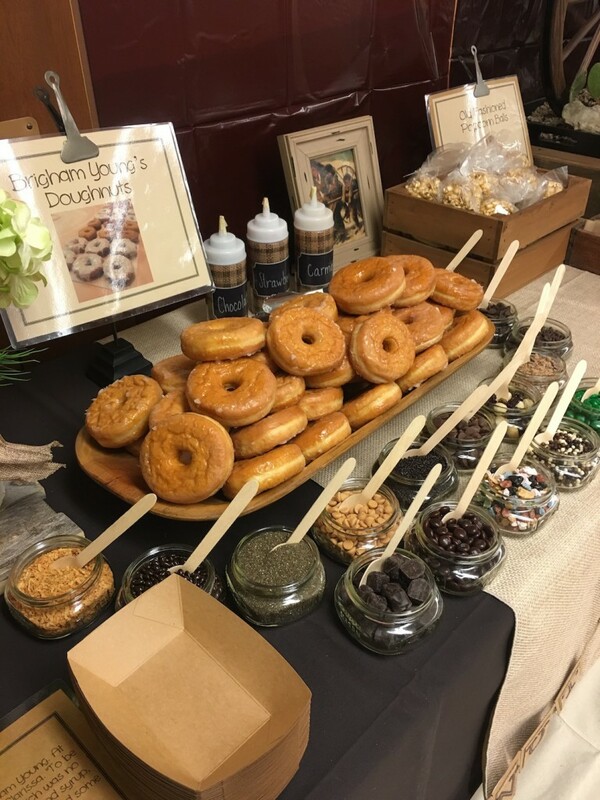 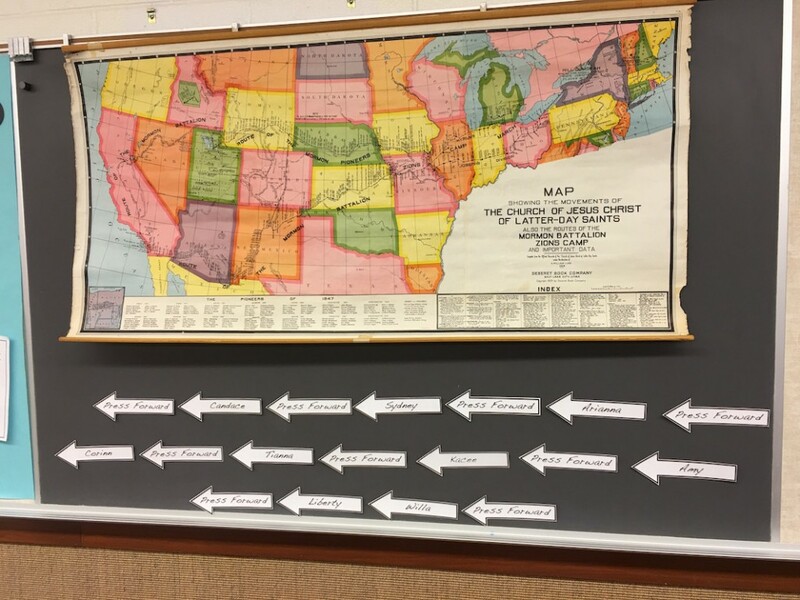 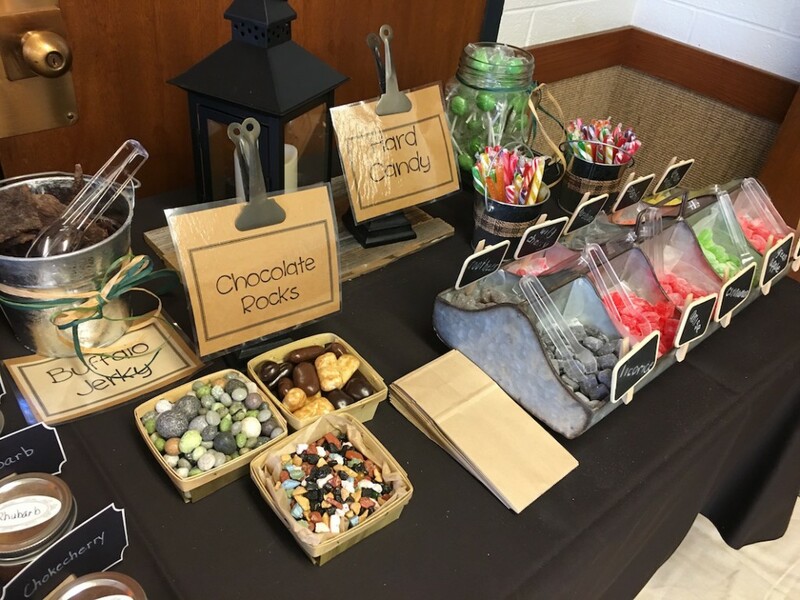 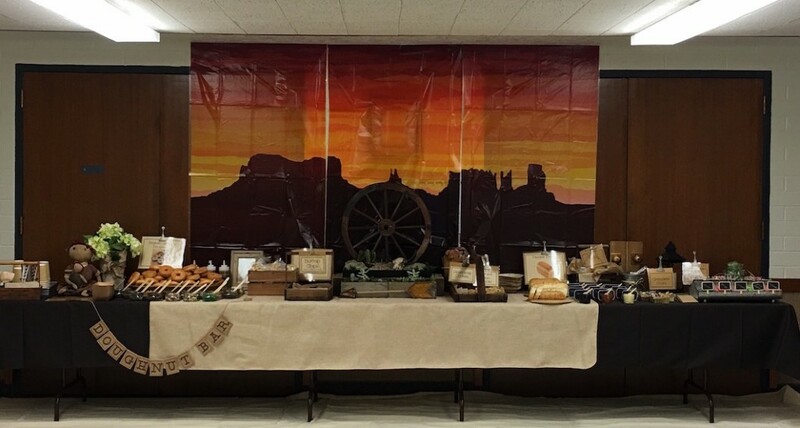 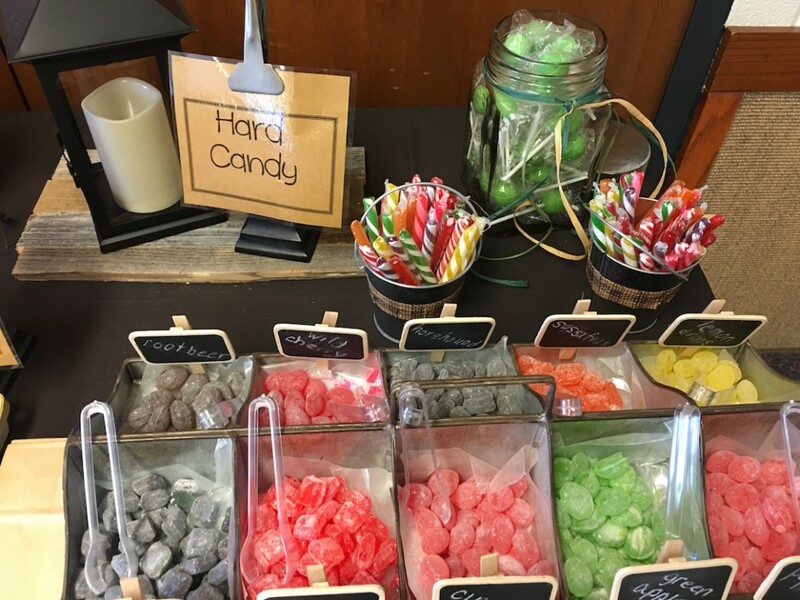 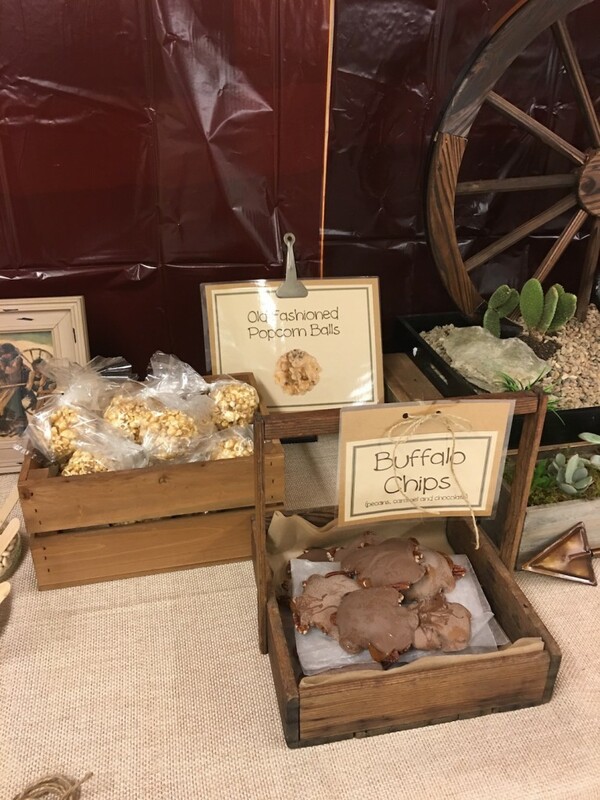 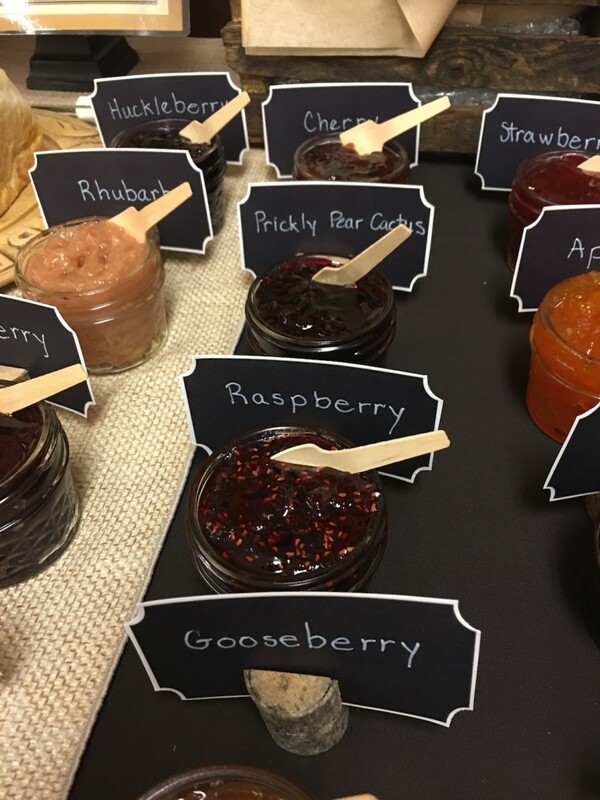 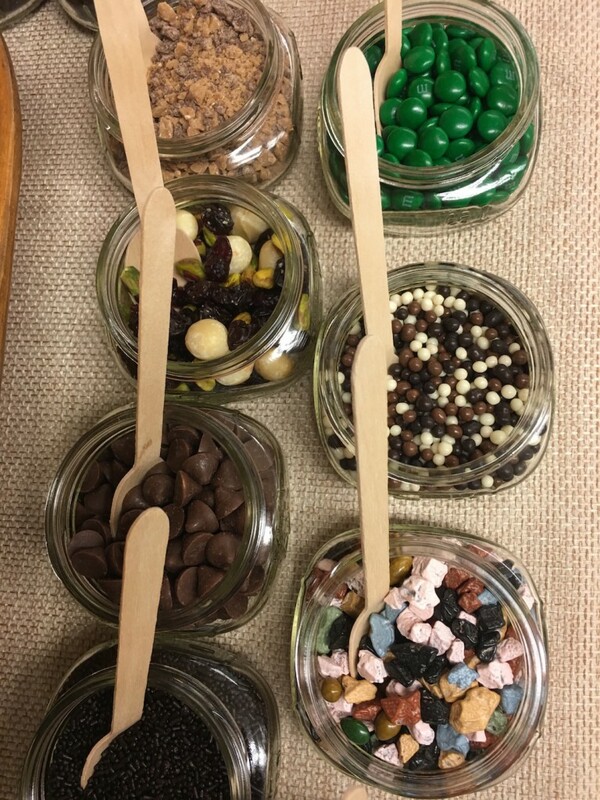 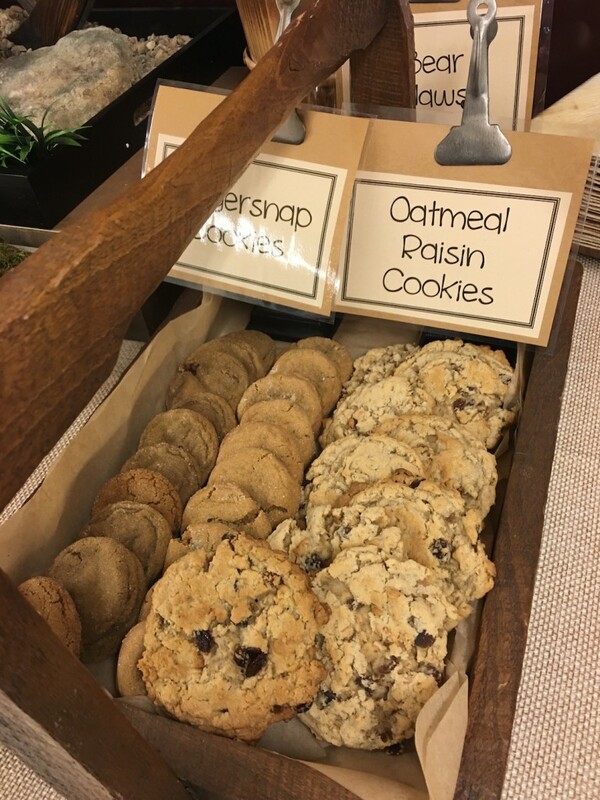 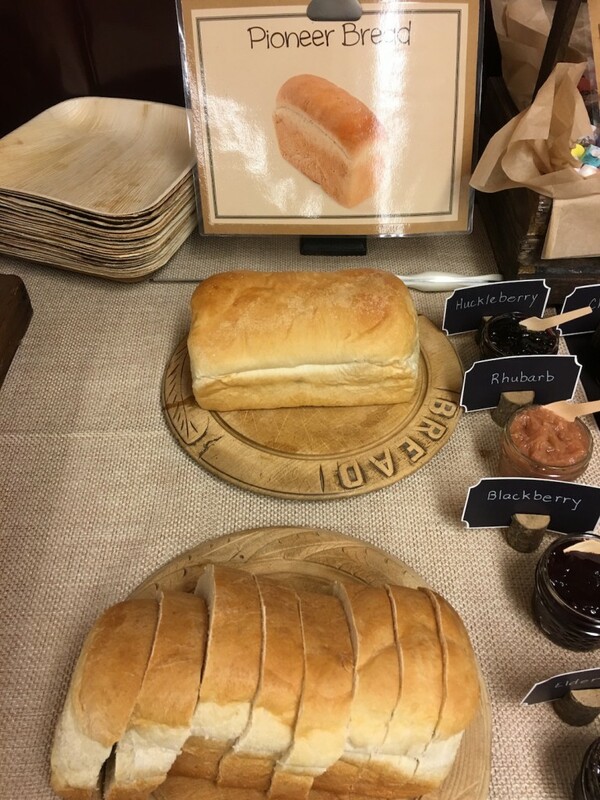 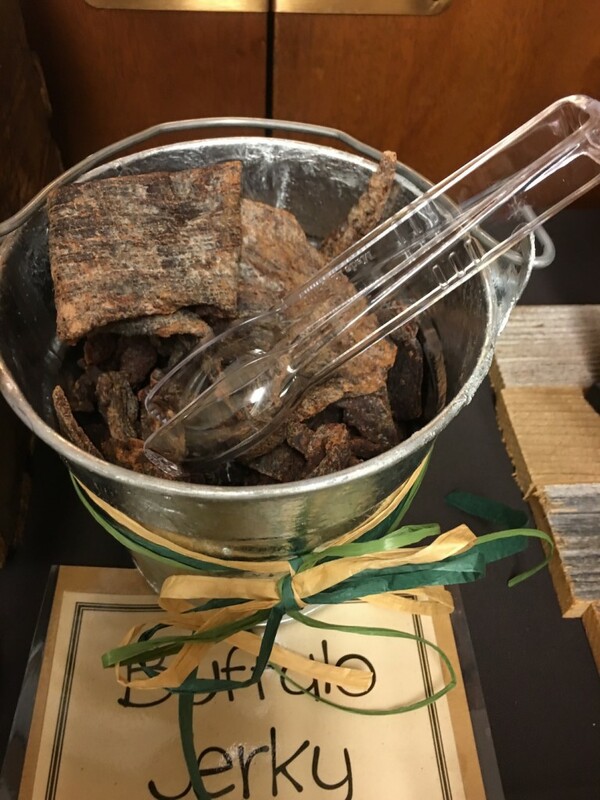 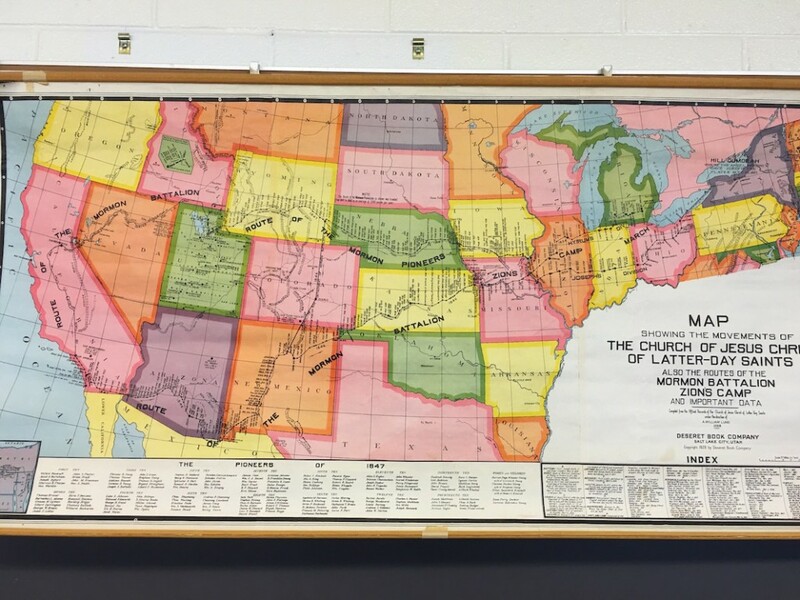 Doughnut Bar…Brigham Young was fond of doughnuts and had them for breakfast. 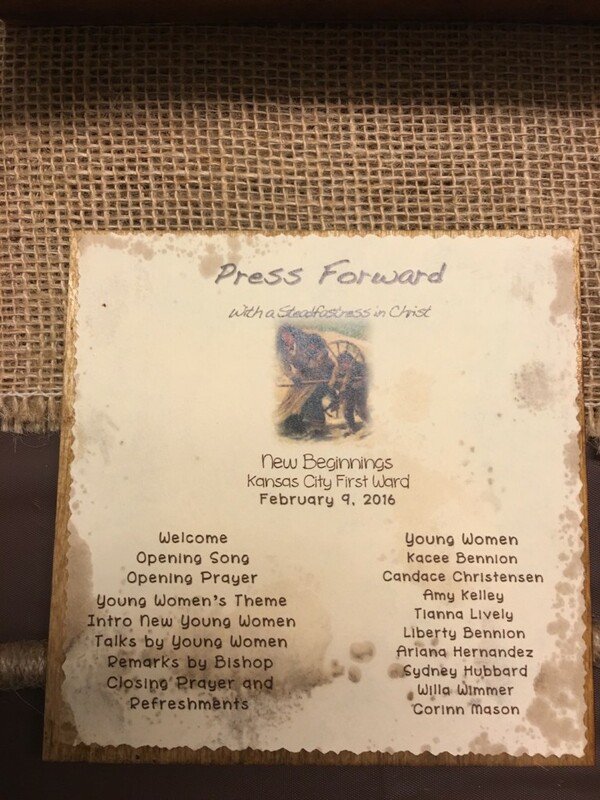 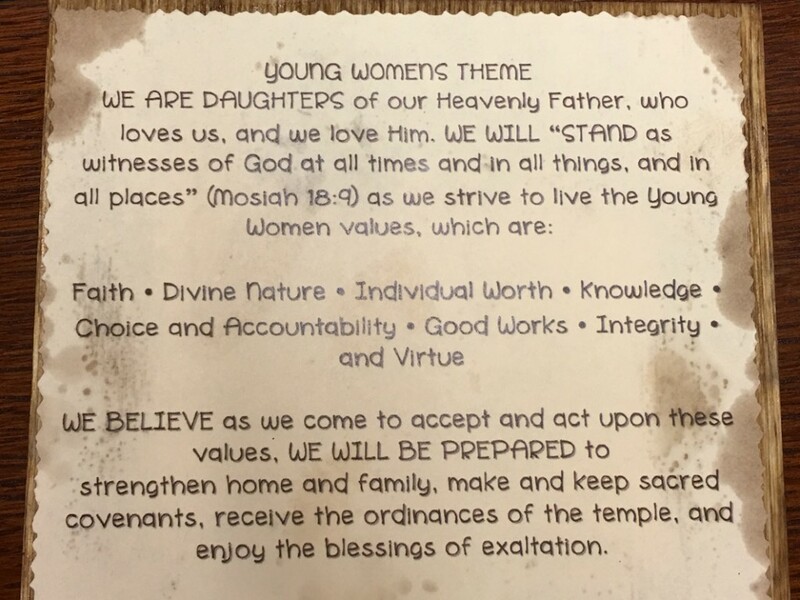 This entry was posted in Young Women and tagged New Beginnings, Press Forward With A Steadfastness in Christ.